Rooms are not to be used for taking timed tests or interviews. 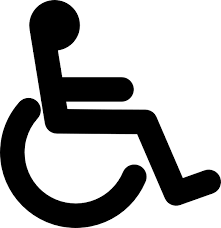 indicates that the room has sufficient space for wheel chair turnaround. Once you have selected the time slots for your reservation, you must accept the terms and conditions by clicking on "Continue" at the bottom of the page. MOBILE USERS: Please make sure to click through the entire Booking process or your reservation will not be set. You will receive an email confirmation of your room reservation. If you decide to cancel your reservation; use the cancelation link in your confirmation email. Pick up your study room key at the 1st floor Library Services Desk with your group members. If you do not pick up your room key within 15 minutes of your reservation, the system will cancel it automatically. For reasonable accommodations due to a disability, please contact Terry Hutchings at tdhutchi@usf.edu.